News / Politics What's the Republican Party to do? When Barack Obama was elected in 2008, a lot of us who gathered in Grant Park thought a new day had dawned. It turned out the old day had plenty of life left in it. Millions of people who thought Obama's election was a terrible thing to happen to America continue to think this eight years later, and they've constructed elaborate, fictitious justifications for this belief: Obama was born in Indonesia, and he's a Muslim socialist, he has a two-part plan to disarm America and conquer it from within. These convictions became the underpinning of a Republican Party with no program but obstruction, a party without an intelligent idea in its head. This vacuum manifested itself in Washington as a Congress unable to do a thing but say no, and it gave us Donald Trump, the perfect candidate of a party that has forgotten how to think. Trump, for being such an abhorrent alternative, will likely give us Hillary Clinton, whom Republican haters hate almost as much as they hate Obama, or possibly a little more. And so the first black president promises to beget the first woman president. And another new day will dawn. What's a party to do? As everyone is saying and writing, so-called Republican leaders face a predicament: they can throw in with Trump, because like it or not he's their chosen candidate; or they can put their own dignity first by repudiating Trump, making him as unwelcome in the Republican Party as, say, Mark Fairchild—the LaRouchie who accidentally won the Democratic nomination for lieutenant governor of Illinois—was among Democrats in 1986. Adlai Stevenson III, the Democratic nominee for governor, promptly created a third party and ran on that ticket. Or, tap-dancing Republicans can try to send out two messages at once. For instance, Marco Rubio accused Trump of being too "erratic" to be trusted with the nation's nuclear codes, yet he supports Trump's candidacy. He accused Trump of racism, but he supports Trump's candidacy. To name one pundit among the many reacting identically, Steve Benen of MSNBC accused Marco Rubio of "cognitive dissonance"—as if Rubio needed to be told he was contradicting himself. Come on! Was mere cognitive dissonance at play when Mark Antony delivered Caesar's funeral oration? "I come to bury Caesar, not to praise him," said Antony, who praised Caesar until the Forum rang with cheers and Brutus was a dead man walking. Republicans, with an opposite mission, hail Trump while they bury him. Rather than dwell on what may or may not be the Republicans' hypocrisy, I'd like to put that question to the other party. When Democrats judge Republicans, it's a given that Trump is unfit by intellect, knowledge, temperament, and values to be president, and that any honorable Republican must turn his back on him, whatever the personal or political cost. At the same time, Democrats wonder if Hillary Clinton, running against anyone else, is electable. So if you're a Democrat, what are your priorities? Is Trump America's problem or your party's solution? Do you put the country first and pray the Republicans find a way at the 23rd hour to knock Trump off the ballot (possibly even sharing a little opposition research to help things along)? Or do you pray they squirm miserably until November, when Trump leads the party to utter defeat? Unless, of course, he wins. Also, the police department hires an official to help implement reforms. 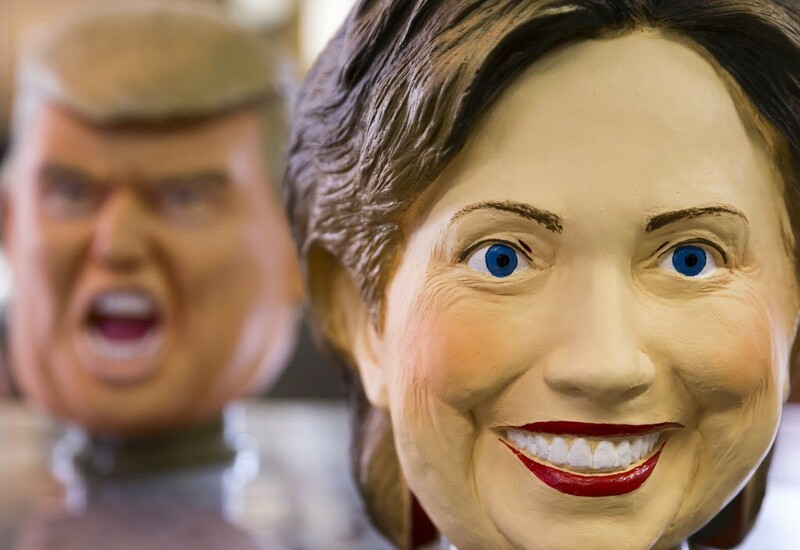 What is the difference between Hillary and the Donald? Or, the danger of making false equivalencies.